Open up Microsoft Office SharePoint Designer 2010. Then connect to your site. Create a new workflow (“File – Add item – List Workflow”). 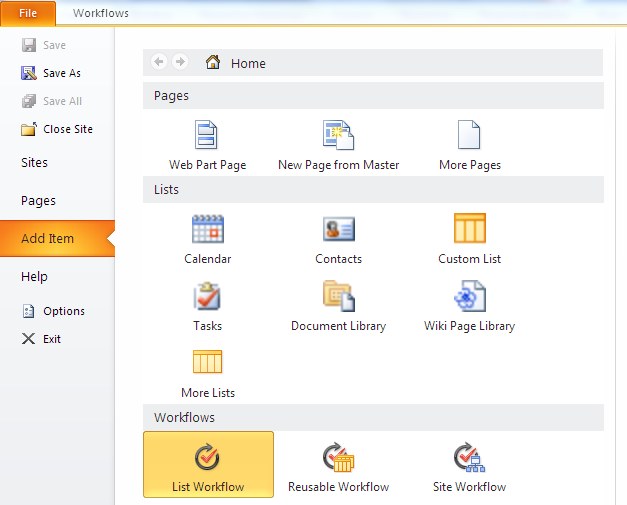 Type the name of new workflow and select SharePoint list which the new workflow should be attached to. Click “Create”. Then start typing or use the insert group in the Ribbon. 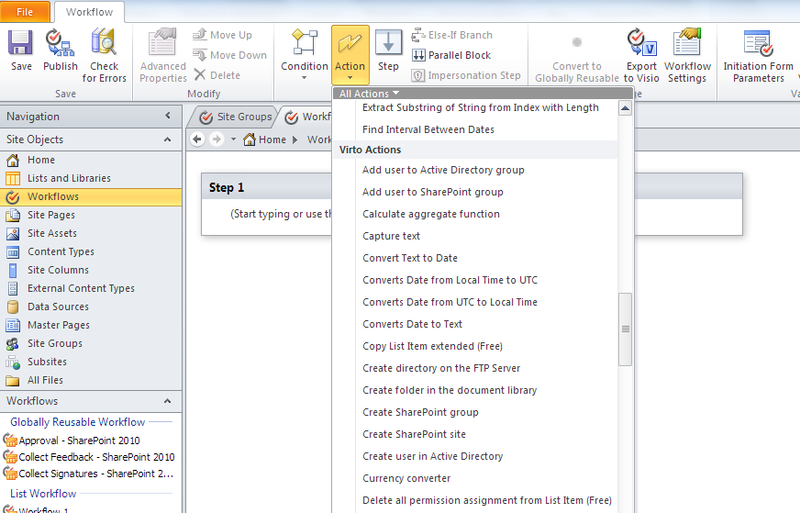 Then select “Virto Actions” as a category and choose the required action from the list.